BGX created a blockchain algorithm that processes up to 100,000 transactions per second at very low costs, while maintaining decentralization and unmatched security. BGX used the algorithm to build a platform that is ideal for financial processing in a large market, reliant on microtransactions, such as the $60bn mobile games industry. BGX impressed large industry partners by lowering their financial costs threefold, by doubling the available channels of monetization, and by maximising user ARPU. BGX is the fastest, low-cost, and most secure decentralized method of payment processing. DEVELOPMENT OF XELOPES CORE AND PROCESSING PLATFORM. Building distinct technological modules and testing them in commercial projects. PRODUCT CONCEPT. Forming an overall vision of the product, marketing studies, team formation. CREATION OF THE ARCHITECTURE AND PROTOTYPE. Creating an abstract architecture and making the main technological decisions, building a model for neural network learning. CREATION OF THE MVP. Forming the product prototype to provide the user with the main functions, developing specifications, confirming the product’s features. TOKEN GENERATION EVENT. 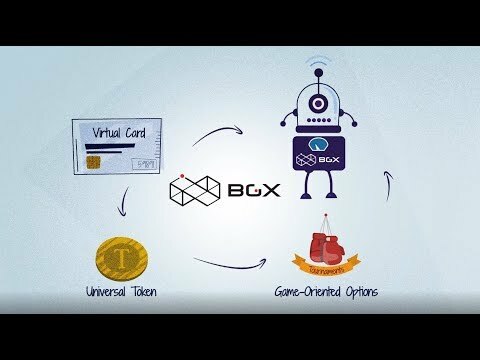 BGX Token Crowdsale.